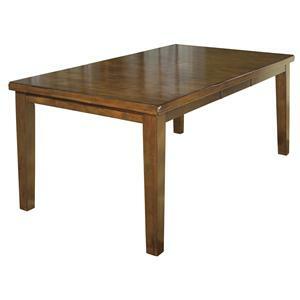 You can have a simply stunning dining room with the addition of this beautiful solid wood cherry table. 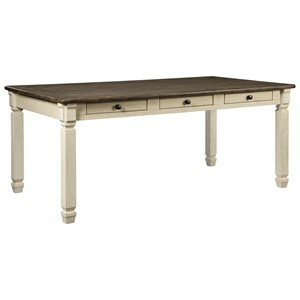 Supported by saber legs, this table has a classic look that will last a lifetime. Featuring two 12" self-storing table leaves you can easily extend this table from 60-84" to accommodate extra guests when needed. 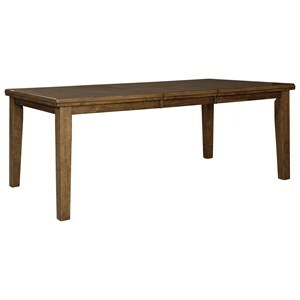 Bring honestly-handsome style straight into your home with help from this wood table. Choose from a variety of wood types and finishes to create the perfect look for your home. 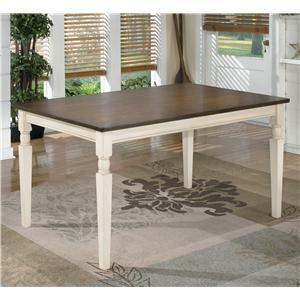 The Leg Customizable Solid Wood Millsdale Rectangular Dining Table with Legs by Daniel's Amish at Rife's Home Furniture in the Eugene, Springfield, Albany, Coos Bay, Corvallis, Roseburg, Oregon area. Product availability may vary. Contact us for the most current availability on this product. Leaves 2-12" Leaves Included. Table can also be ordered with no leaves or up to 4 leaves. Finish 7 Step Finishing Process with a final coat of a clear Catalyzed Varnish, which has excellent resistance to water, scratching, common household spills, alcohol, yellowing and marring. Warranty One year warranty against all manufacturing defects. Daniel's Amish Collection will replace or repair any of the above issues at its own discretion. 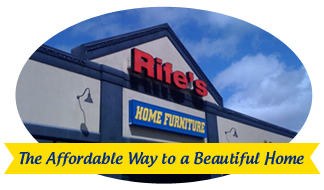 Browse other items in the Leg collection from Rife's Home Furniture in the Eugene, Springfield, Albany, Coos Bay, Corvallis, Roseburg, Oregon area.